One thing Stephanie Roche is sure about: she has learned from her missteps and bad experiences. Take her first professional contract, signed with French club Albi in the summer of 2014. 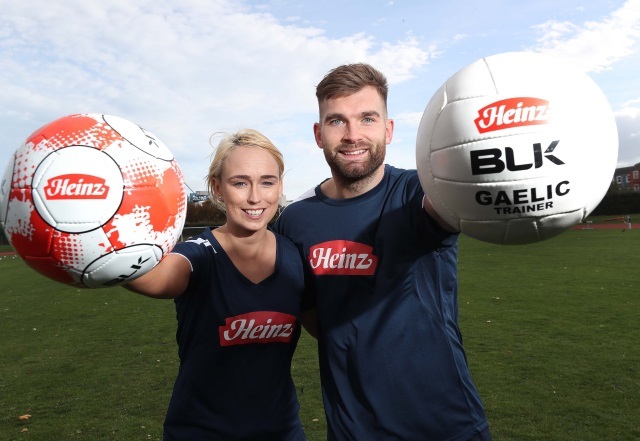 “When I went over first of all, I didn’t have an agent, I didn’t have anyone looking after me; it was just me in a room with the chairman and the manager and a translator,” Roche told Balls at the launch of the Heinz Sports Club initiative. Promises which the club had made, including the provision of French lessons, ultimately slipped to the side. “I had them for three weeks, four weeks. It was with a girl who was absolutely lovely and I was making progress, learning simple things for football. “She had to go to college in Montpellier, a good bit away from where we were. She agreed to do Skype lessons with me and I was happy with that. “We went to the chairman of the club and he said that he didn’t want to do that, ‘It was too messy.’ I was like, ‘How would it be messy?’ He ended up getting somebody, this guy, who was just a little bit weird, let’s say. 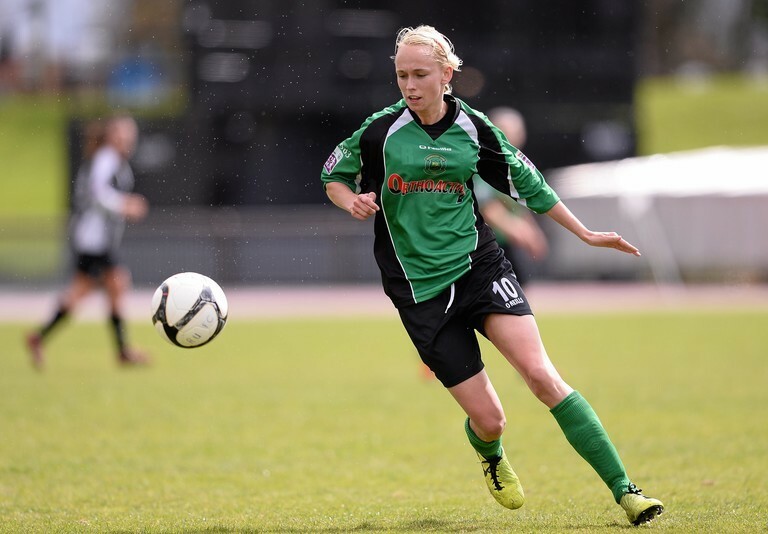 When the then 25-year-old Roche first arrived at the club, there was a player in the squad with whom she had played at Peamount. She acted as an interpreter on the pitch. However, a row between Roche’s intermediary and the Albi manager led to her departing the team. A month into her contract - her first time living abroad - and the Ireland international was shorn of that clearer connection with management. It was a problem but not the main reason she ended up leaving France. On the pitch, football is quite universal, you know what’s being said at training. Sometimes you’re guessing, you get it wrong, you get it right. It was more off the pitch, I had nothing to do away from football. I couldn’t deal with it because there was nothing else going on in my life. There was no gym to go to, I couldn’t get up in the morning and do my own thing. I’d wake up in the morning, make my breakfast and then sit down until it was time to go to training. A lot of things away from the club were not done right. They’d just been promoted. They’d never really had any international players in the team. They just didn’t know how to deal with players from different countries and players who didn’t know the area or the language. It was a shame because I liked the league and particularly before Christmas I started playing really well and I was enjoying it a lot more. It was just, away from football, I had absolutely nothing; I was sitting in an apartment by myself. It just wasn’t good for my mental health. At the time, when I left, I felt like I had no other option other than leaving. 15 months prior to leaving Albi, Roche scored the goal which sent her from being a name only recognised by supporters of Irish women's football to one featuring in headlines worldwide. This month - October 18th specifically - is the five-year anniversary of that Puskas Award-nominated volley, scored for Peamount against Wexford Youths. A lot has happened in the interim. The Albi experience informed the 29-year-old’s latest decision. She has joined a team in Italy’s Serie A - one which can’t yet be named as she awaits international clearance and an official announcement from the club. “That was my first time living abroad and it wasn’t a nice one. It scared me a little bit and that’s why I thought I’d never go abroad again. I really took my time with this decision to go to Italy. Roche joins her new side - her fourth professional team - following a nightmare 12 months. 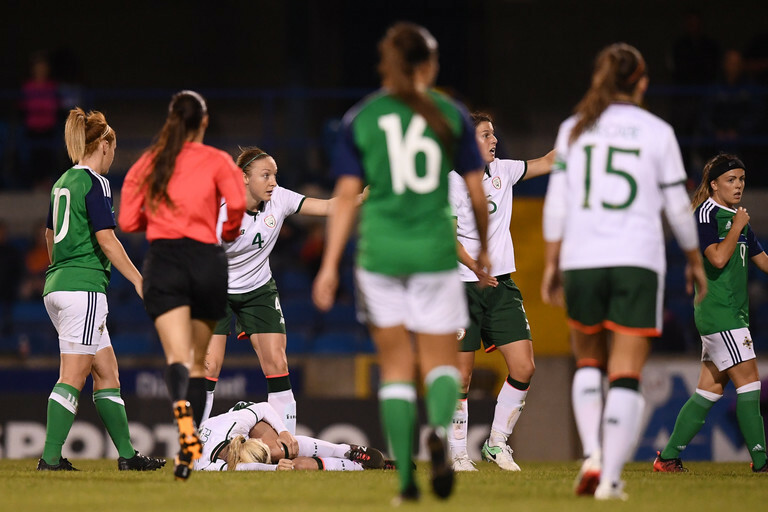 During Ireland’s first game of the World Cup qualifying campaign against Northern Ireland last year, she suffered what was initially diagnosed as a simple fracture - it turned out to be much more complicated. “It was the last minute of the game. As I jumped, someone bumped into me and knocked me off balance. I landed on my knee really nastily. “It was a messy one. They originally thought it was just a depressed fracture to my tibia but it ended up being a stress fracture to my medial condyle which is above the knee. “The injury was a hyperextension, my knee bent all the way back and damaged loads of little bits in my knee. “I was over the moon but ended up having more setbacks. I went back trying to play in January and went to kick a ball and my knee did not feel good at all. It was really painful trying to run on it. I spent four weeks training and running on it, knowing that it wasn’t right. “Eventually I went back and said I need to have another MRI because there’s something definitely not right. It ended up that there was other stuff going on. “It dragged out for a year and not knowing what it was, was tough. I’d been told it was this and then it wasn’t that. "The hardest thing for me was seeing the Ireland team playing. When the girls are in camp and even with Sunderland, when they were playing their games, it was tough for me to watch and not be able to do anything. “Thankfully, it’s all settled. It was just a nightmare of a year not being able to do anything. "I’ve been quite lucky that I have football people around me. My boyfriend [Dean Zambra] plays football here in Ireland. He’s very professional in his set-up and mindset. "He’d always be tough with me. Tough love is what I needed at times because he’d be like, ‘Come on. Get up off your arse and do something.’ You need to make sure you’re doing the right things and that definitely helped me. "He had a bad injury a good few years ago - he broke his ankle. He knew what to say to me at the right times. It might have been a hug at one point and then a bit of tough love telling me to get up and do stuff." Roche was under contract with Sunderland for the majority of her injury, a club she had initially joined in the summer of 2015. “My contract ended with Sunderland ended in June. They wanted to sign me back but they didn’t get the licence for WSL1 and didn’t even get a licence for WSL2. They dropped way down the leagues. Overall, she enjoyed her time in the north east of England but it could have gone better. There were factors - on and off the pitch - which made it tough to settle. A centre-forward at heart, she played many games out of position in the unfamiliar berth of left wing-back. “It didn’t really suit me - anyone who’s seen me play could tell you that I can’t defend to save my life! While she met some good people are the club and got on well with most, not everyone made her feel welcome. Her first year at Sunderland was especially difficult. A lot of people were very good to me and really made me feel at home; other people, maybe not so much. To be honest with you, it was only one player - it wasn’t everybody - and she was quite influential. She tried to make it difficult for me. There were a lot of players at the club who have been there for a long time. Not just me, other new players coming into the squad [were made feel unwelcome], they were kind of just jealous of or maybe thought we were coming in and taking over their territory. I can kind of understand that because at Sunderland, they came up the ranks together and a lot of the girls have been there for years. Some of them were really nice, the ones who have been there for years, but there were a couple who were a little bit bitter. You just have to get on with it, don’t you? Obviously, I came to the club with a bit of a name because everyone knew the goal and that sort of stuff. I think sometimes people have a misconception of the type of person you are and they don’t want to get to know you. They just say, ‘Oh, she did that and she’s this, that and the other’ without actually getting to know me. I’ve learned from every experience I’ve had in football. You’re always going to have people you don’t get on with. In the end, I won everybody over. The girls all got along with me and wanted the best for me; whenever I played, they encouraged me. I think I won it out in the end. In between leaving Albi in January 2015 and joining Sunderland later than summer, Roche had a disappointing spell with Houston Dash in the NWSL. She joined in February and was gone by May. "He knew I was coming from France which is a very technical league into one with a lot of powerful athletes. I’d never done that, I hadn’t been to college in the US. A lot of the girls who were coming through were fitness driven. That’s all it was, it was all about being fit, big and strong. "Then the week after, I was let go! It was kind of just like, ‘[snaps fingers] OK, that’s over.’ It was a bit of a bad experience. After being waived by Houston, Roche had the opportunity to join the now defunct Boston Breakers. Burned by her experiences with Houston and Albi, she decided a move closer to home would be for the best. Having played on both sides of the water, Roche is well-placed to assess how the US and English leagues match-up. Essentially, she believes the NWSL has athletes and the WSL has footballers. I watched the NWSL final, Denise O’Sullivan was playing in it for North Carolina Courage. The girl that got MVP in the final, she was playing in Houston when I was there, and I remember thinking that, ‘She’s not that good.’ She’d done really well in the final but it’s because she’s so big, strong and powerful. If you look at their technique when kicking the ball, they haven’t got great technique. They’re all really athletic, fit and strong. I think that’s what helps them in that league. The English league is more about technique. Their style of play is a bit better. They all want to get on the ball and play football. That’s the difference between the two leagues. There’s a lot of girls playing in the US league who are very good - I’m not saying that about every player in the league. Denise O’Sullivan is probably one of the most technical players you’ll ever meet. Though her contract with Sunderland only ended in June, Roche had been detached from the club since February as her rehab took place in Ireland. She only got back on the pitch in late August, early September, training with her old side Peamount United and a little bit with the Wayside Celtic men’s team. The timing of her return from injury meant Women’s Super League teams in England already had their squads finalised. Offers - two from Spain and one each from France and Italy - eventually materialised. “I went over to Italy and went on trial and it went really well. “That was in September when I hadn't trained properly. I had two weeks training, went over and played a match. “It went quite well but, obviously, I wasn't quite fit enough to do a lot but they saw they saw enough to say, 'Look, go home for a month, train for a bit and then come back over, we'll get you on a week's trial and we'll go from there'. "I moved over last week." It's a new beginning for Roche, one which will be made all the more enjoyable by knowing where the pitfalls lie.